The main villain in 'Guardians of the Galaxy' #1 has the greatest reason for revenge – AiPT! In the cosmic universe where Thanos and Galactus reign supreme, this villain has a good reason for their revenge. Spoilers ahead. You’ve been warned. For more, read our review. The most anticipated #1 issue of the week, and maybe even the year, is out today by creators Donny Cates and Geoff Shaw. 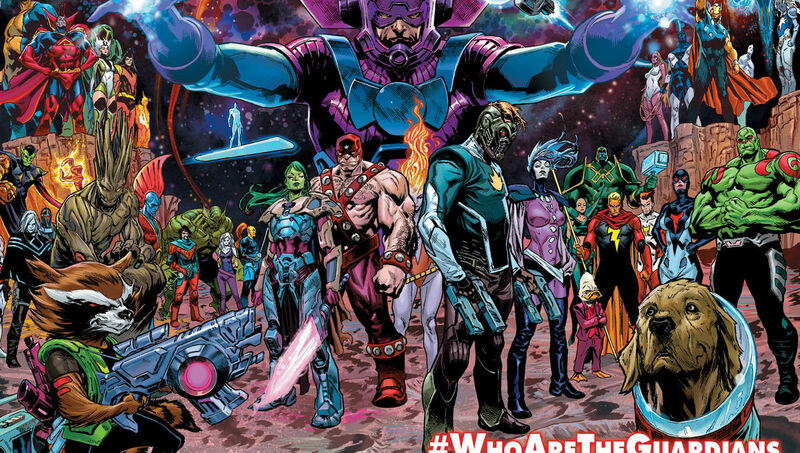 The comic mixes quite a few cosmic characters into a brand new Guardians team and even involves Thanos. That’s not much of a spoiler since it’s in the preview. The big spoiler is who is pulling the strings. As the story progresses it becomes clear somebody wants Thanos’s body so that they can put his soul back into it. Surely it is someone who needs Thanos. But if they were an ally, why rip him from Death herself? Aha, Hela. Well, she does have nefarious reasons for bringing him back to life. The thing is, over in Thor #4 which came out in August 2018 by writer Jason Aaron and artist Michael Del Mundo, Thanos did the worst thing that could happen to a person: He broke up with her. Not a smart move since Hela has regained her power and recently come back from the dead. Thanos walks away after breaking her heart and making this evil woman cry. If only he knew Guardians of the Galaxy #1 would bite him in the tuckus. It appears Donny Cates and Geoff Shaw are exploring just how much Thanos will regret that day. She already has his body now and she only needs his head to get her revenge. Don’t take my word for it. I recommend reading Guardians of the Galaxy #1 to get the full picture and Thor #4 for that matter too.